Can anything good come out of Syria? The war in Syria is one of the greatest crises seen in the Middle East in the last 20 years. It has claimed the lives of more than 100,000 people, both Muslim and Christian. More than 2 million Syrians have fled to neighboring countries. In the midst of this crisis, our persecuted family is boldly reaching out. And the reactions of Muslims have been astonishing. Iran: Pray For Pastor Youcef As Death Sentence is Upheld. The Iranian Supreme Court has upheld the death sentence of a pastor convicted of apostasy and accused of evangelizing Muslims. 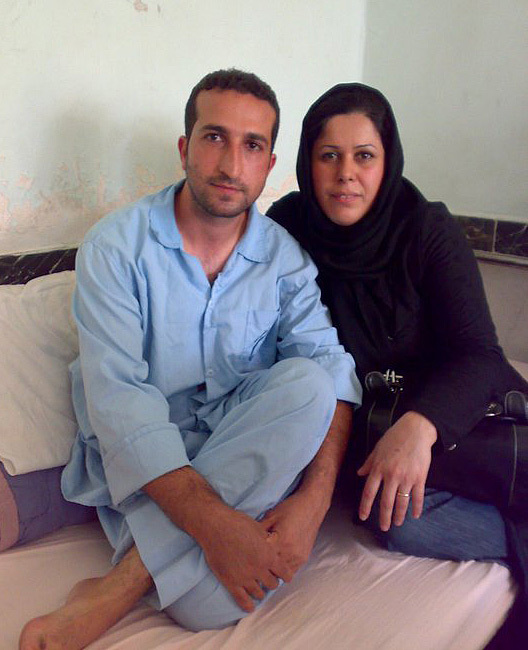 Pastor Youcef Nadarkhani, 34, has been in prison since October 2009, and the appeal of his death sentence was rejected by the Iranian Supreme Court on June 28, 2011. He is to be executed by hanging. If the death sentence is carried out, it will be …Read More! Will World’s Largest Giant Jesus Statue Bring Revival To Poland? I perceive that in every way you are very religious. To the ordinary eye this appears to be an era where Christians have had unprecedented success. What, have you not seen the celebrity pastors with personal jets, how about the pastor with the $18,000 poodle or the goofy multi millionaire pastor with a $15,000 espresso machine who raps about the best days in Christian living?